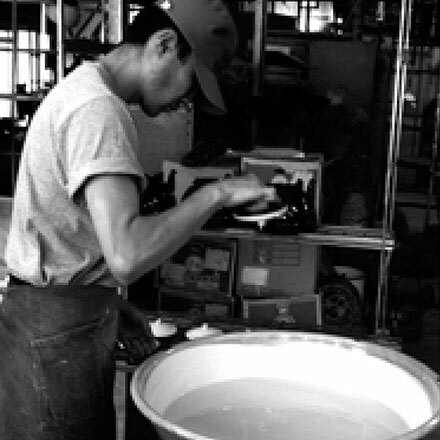 "Fujihoro has been manufacturing its Porcelain Enameled Steel Products since 1974 and is currently one of the most reliable manufacturers in enameled cookware. 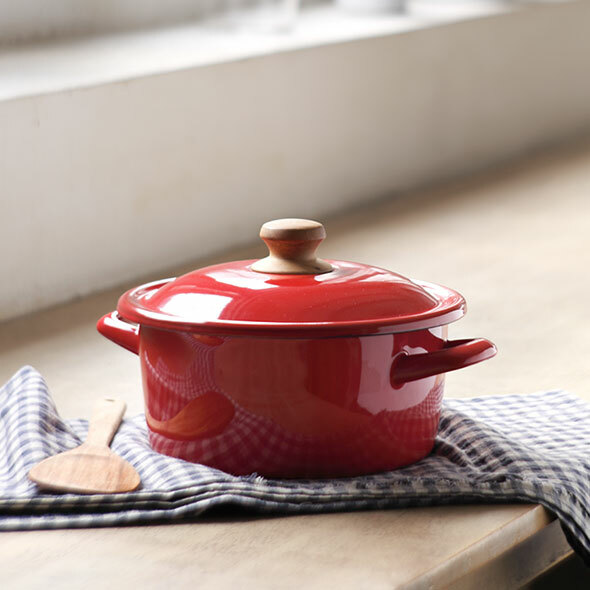 Manufactured under superior Japanese craftsmanship, the enamel cookware is assured of lasting quality and performance." LONG LASTING QUALITY AND BEAUTY"
"The enamel glaze is evenly applied by hand to the iron core surface several times by experienced craftsmen. 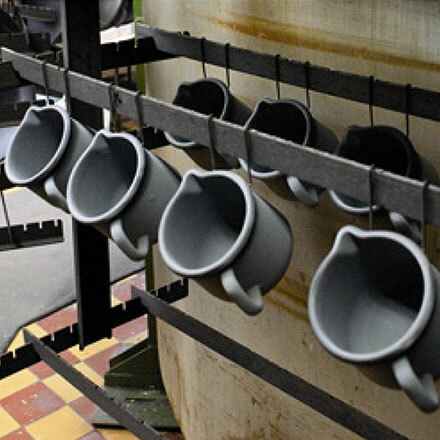 During the enameling process, the pots undergo repeated firings in an extremely high-temperature furnace, reaching up to 850 degrees centigrade in order to form a multi-layered structure, combining the strengths of both iron and glass (Enamel) leaving a smooth and durable vitreous coating to produce this wonderful product." In order to prevent energy loss and overheating of the handles, adjust the burner so that the flames do not extend to the sides of the cookware. To prevent cracking/warping, let the cookware cool before contacting it with cold water. Use a sponge or towel with soapy water when cleaning. Do not use abrasive scouring powders, pads or steel wools when cleaning the cookware as this may damage the enamel coating. To remove stubborn food residues, soak the cookware before cleaning and scrub with plastic scouring pad if necessary. Rinse well. Repeat if necessary. Dry cookware thoroughly after washing. Do not leave the cookware to drain or put away whilst still damp. Where cookware has a stainless steel rim, prolonged exposure to. Water should be avoided, as water may penetrate the edge, causing rust to form on the inner side. Use wooden, plastic or heat-resistant nylon tools to avoid scratching the enamel coating. Do not preheat the cookware, or place it over heat when empty. Do not repair or use damaged cookware. Do not use the cookware in a microwave oven. Do not drop or cause any strong impact to the cookware. The enamel coating is made of glass material which can crack or break. Do not fill the cookware to the brim. The maximum limit to fill the cookware should be about 60-70% of its capacity. Handles and knobs may get hot. Always use potholders. Place hot cookware on heat-resistant surface.